Fish; av. 1. 7 cm; last half 11th century; green monochrome. 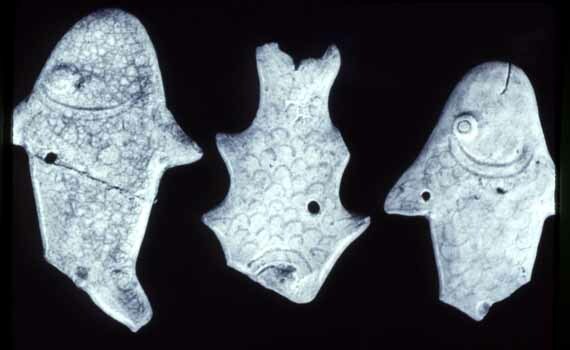 Small flat fish with hole pierced in the dorsal fin; incised scales on body. Buff clay; straw to green glaze.